Nearly 40% of websites under .EU are used for business purposes compared to nearly 33% of websites under .COM. According to the report issued by the .EU Registry, 37,8% of websites registered under the .EU domain are used for business purposes, compared with an average of 30,5% of websites under other TLDs such as .COM, .BIZ and .NET. The findings emphasise the fact that businesses across the European Union continue to adopt the .EU extension which is ideally suited for cross-border trading in numerous EU countries. The report also demonstrates how websites are used and reveals some trends. For example, there has been a significant decrease in the percentage of pay-per-click (PPC) websites, from 20.6% in 2011 to 11.8% in 2013. The falling revenue generated from this type of website indicates that PPC websites are becoming less popular. Further findings indicate that business is the most common use for websites within all TLDs, making up for an average of 30.5%. The next most common purpose of websites is to use them as a holding page (27.8%). 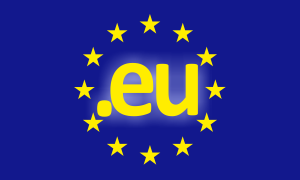 Take advantage of the trusted and reliable extension and register your business under the .EU domain. For more information contact our Support Team at support@web-solutions.eu or via phone on +44 (0) 208 133 3994.